This academic year, 291,277 students are studying at Dutch universities. The Association of Universities today announces the final enrolment figures for the academic year 2018-2019. Compared to the previous year, there has been growth of 5.3%: slightly more than assumed in October on the basis of the provisional figures. As the growth continues, the universities will most likely welcome the 300,000th student next academic year. In Eindhoven, the 12,000 registration mark has almost been reached; the counter is now at 11,985. In October 2015, TU/e enrolled its 10,000th student. The rise continues, despite the fact that the introduction of a numerus fixus in four studies has led to a slowing down in the increase. Without measures to combat this extreme growth, the number of students in Eindhoven would already have far exceeded 12 thousand. This is consistent with the university's efforts to continue to grow, but in a measured way. Rector Magnificus Frank Baaijens of TU/e endorses this. "The excellent quality of our education is characterized by a high degree of interaction between education and research. This is expressed in small-scale forms of education with a lot of personal guidance, well-equipped laboratories and high-quality research. Controlled growth in the number of students means that we can maintain these core values. 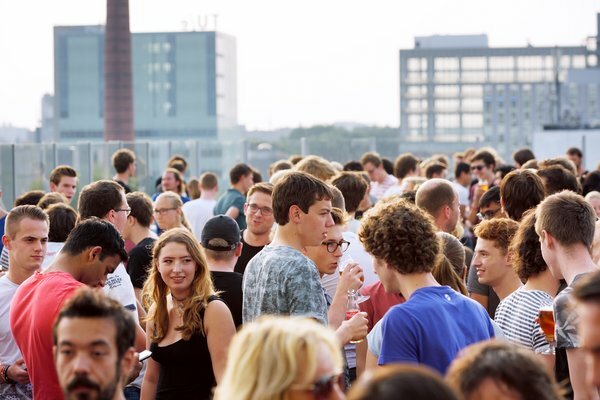 The number of international students at Dutch universities is increasing this academic year. Of the 291,277 students enrolled, 19.2% come from abroad. In Eindhoven this is slightly less, at just over 16%. The VSNU states that the growth of the contingent of non-Dutch students is a good development. "In the light of the predicted labor market shortages and the international scientific position of the Netherlands, this is basically a positive trend, but measures are needed to keep the inflow manageable." The growth in the number of students is consistent with a more long-term trend; the university has also recently attracted more students. Government funding is not growing proportionally: the total government contribution per student has decreased by a quarter over the past 15 years. The consequences of this are particularly noticeable for the employees. Duisenberg: "It is our commitment to offer all students the best quality of education, but at the same time the workload for our staff must not increase irresponsibly. Universities use their own resources as much as possible, but the pressure on our institutions is a matter for society as a whole." Would you like to know more about the ( intake ) figures of the Association of Universities? Then visit the Facts & Figures page.